International remittances, or money sent home by those working abroad, provide crucial support to hundreds of millions of people around the world – and their importance has been well documented. According to the World Bank, international migrants from developing countries sent home $432 billion in remittances in 2015 alone, surpassing development assistance to those nations. 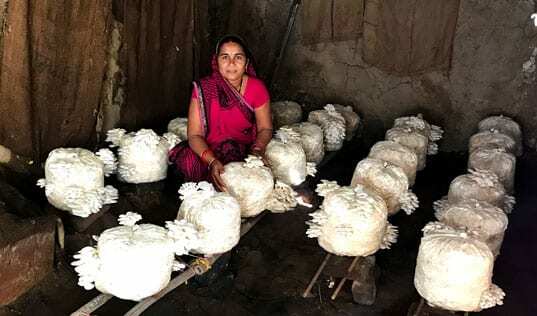 And the U.N.'s Sustainable Development Goals identify “access to affordable remittance services” as one of the targets for reducing inequality within and among countries. Given the importance of remittances in the global community, surprisingly little research exists on domestic remittances – or money sent to friends and family within the same country. 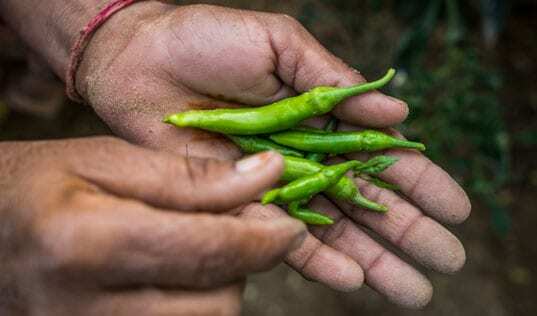 These local or inter-provincial cash flows can play a similarly important role in countries’ economies, distributing the benefits of economic growth concentrated in major urban center to those in smaller towns and rural areas. 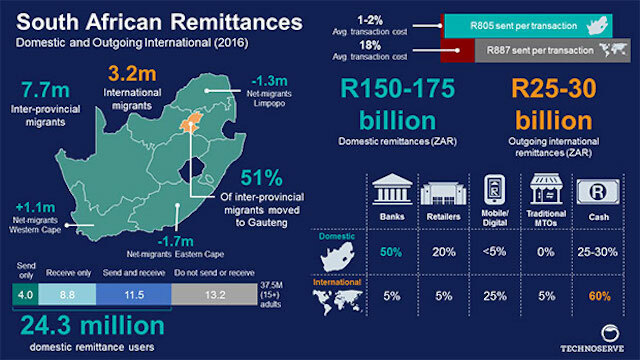 With funding from Visa, TechnoServe recently completed a study of domestic remittances in South Africa, where domestic migrants greatly outnumber international ones. 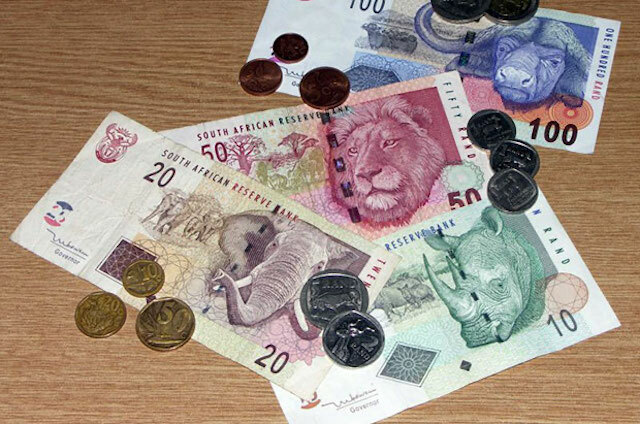 In fact, domestic remittances account for up to 4 percent of the country’s GDP and are among the financial services most widely used by South Africans. The report explores how to leverage this growing market to improve financial inclusion of migrant populations and their families. For instance, Simon is one of the 24 million South Africans using domestic remittances. After moving from a small village in Limpopo to the densely populated township of Diepsloot, Simon found steady work as a taxi driver. He sends an average of $150 back home each month to support his wife and children. Simon’s wife then sends a portion of this money to one of their sons, who is studying in Pretoria. Access to these financial services is vital to ensuring the family’s well-being. 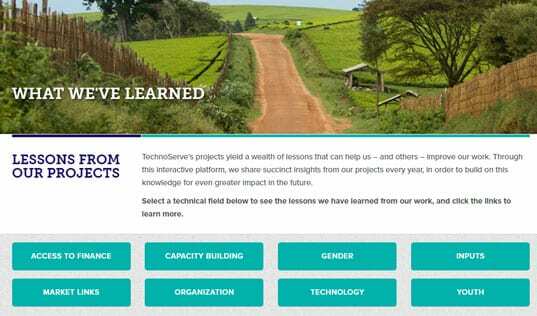 TechnoServe’s examination of the domestic remittance industry reveals innovation in offerings, as well as remaining challenges to be addressed. In 2006, the supermarket chain Shoprite opened money transfer services at its Money Market counters, setting off an explosion of services targeted to remittance users by retailers, banks and mobile operators. Most major banks now offer low-cost remittance-focused services, allowing account holders to send money to any South African mobile phone, and the recipient to retrieve the money at an ATM. However, while decidedly convenient, these services still exclude many remittance users. A quarter of the South African population does not have a formal bank account, and Simon, for example, uses a different bank than his wife, meaning he cannot access many of the lower cost market options that are not inter-operable across banks. Other users are limited by mobile phone air time. 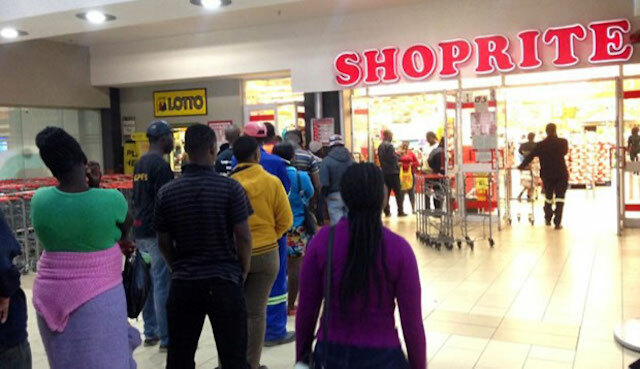 When they can no longer use their phones to transfer funds, they wait in long lines at Shoprite or other retailers. Simon’s wife must pay for a $4 cab ride to a shopping center in order to receive her transfer from an ATM. Loss of time and money while traveling to receive funds is a limiting factor for many remittance users. Although existing services have successfully enabled secure and low cost channels for South Africans to send and receive money, this quickly expanding market has significant room for growth. With increased attention, domestic remittances in South Africa and elsewhere have the potential to meaningfully improve lives through broader access to financial services. Read the full report to learn more about opportunities in South Africa’s domestic remittance market.